Ian McEwan's column in the NYT is so perfect. I'll miss Hitchens because he was one of the four horsemen, but more than that, because he was the consummate lover of books, ideas, writing, talking, and debate. What a great writer and talker. I'm enjoying all the encomiums here and here. It's a wonderful piece by McEwan. I've had trouble expressing feelings on this one. I'm not one of those who was a fan of Hitchens in terms of his views on any number of subjects. And not merely with regard to his concrete views one e.g. foreign policy, but on something very hard to pin down about his aesthetics. To me Hitchens was a absolutely brilliant sophist. So fluid, so skilled; he could bring any quote ready to hand on the spot. The feel of his presence was like that of an actor, like a character a bit out of Shakespeare, like Hamlet setting up his mousetrap and delighting in all the excessive protestations. But was he actually after the truth? He always struck me as someone more interested in the game. At the end of the day, I'll leave the strong judgments, positive and negative, to others. He was an awesome talent, and it really is sad to see him go. Russell, I enjoyed the tribute and discussion about your mother at your blog. His death also makes me think about mortality and family members ... and the like. Faust, I agree that Hitchens was a dazzling showman, but didn't see anything insincere about him. A sophist is a hired gun, ready to argue for anything. 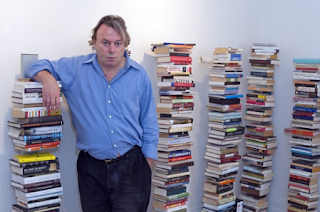 It seems to me Hitchens was very passionate about his own positions, and quite committed to them. Jean: I think you'll also be interested in the Hour One interview on Unnatural Selection.